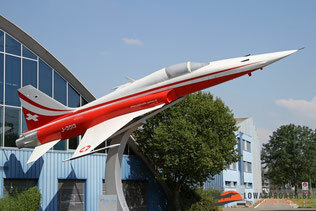 A former Patrouille de Suisse Northrop F5E Tiger II is a very obvious beacon to the Swiss Air Force museum is located next to Dübendorf Airbase not far from Zürch. 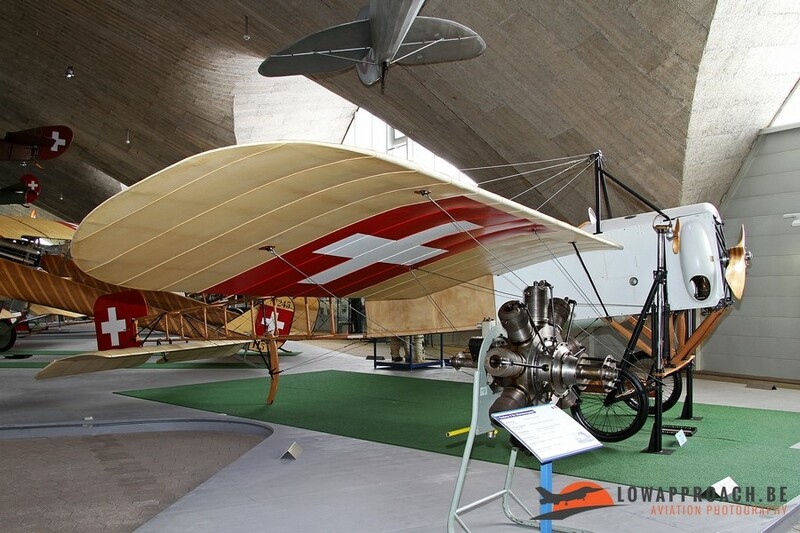 In three hangars a nice collection illustration more than 100 Years of Swiss military aviation can be visited. The first hangar dedicated to the period from the early beginnings until the end of the Second World War. One has to bear in mind that Switzerland was never actively involved in these conflict and has maintained a neutral position which continues until this day. 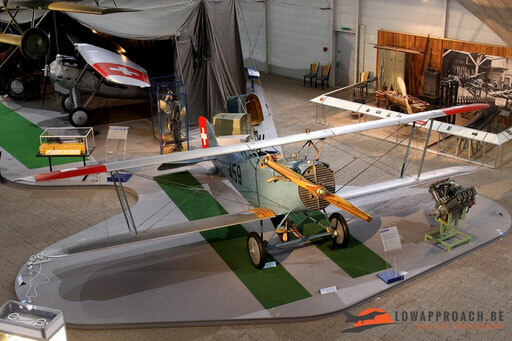 This also had an influence on their military spending over the years, equipment from various foreign countries were acquired, but simultaneously they had a successful local aviation industry. 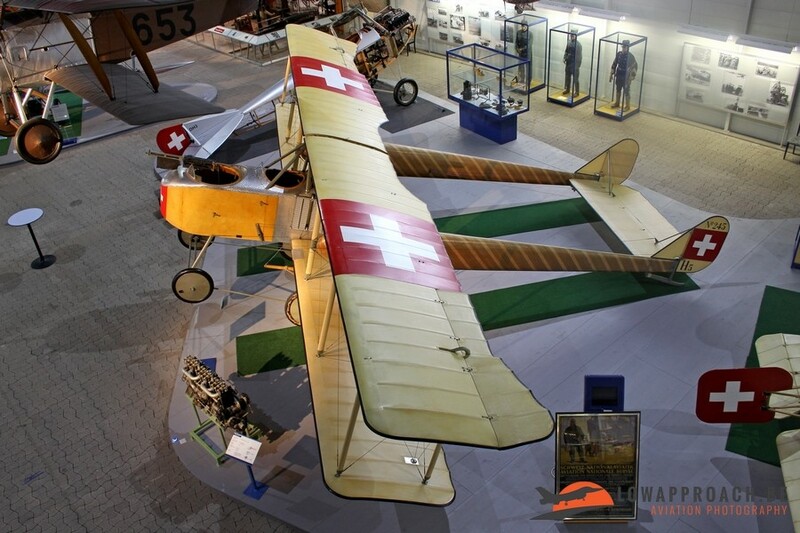 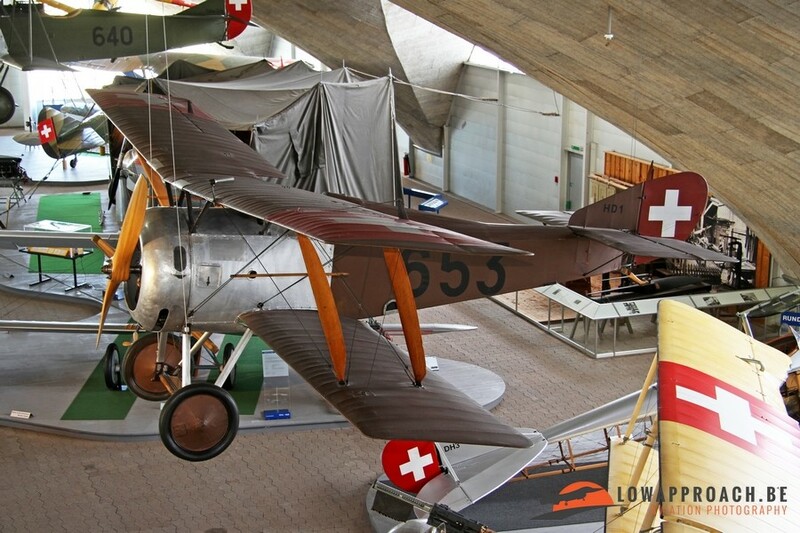 As with many countries one of the first aircraft to enter service in the Swiss military was the French Blériot XI-2, which was soon followed by more aircraft from French origin, like the Nieuport 28C-1 and the Hanriot HD.1. After the end of the First World War, the Dutch aircraft designer Fokker was eagerly looking for new customers, as he had just lost his biggest customer, Germany. 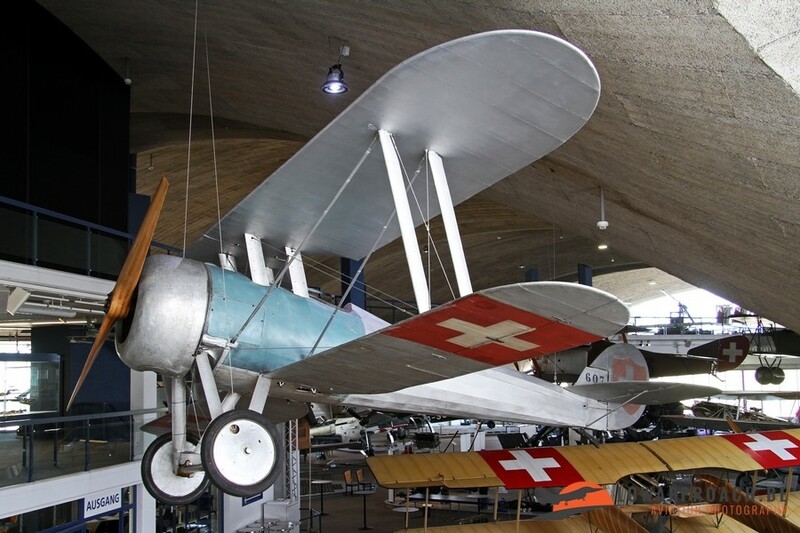 The Swiss were very interest in his products and bought the Fokker D.VII, Fokker C.VE and started licence production of the Fokker C.X, locally called the EKW C.35. 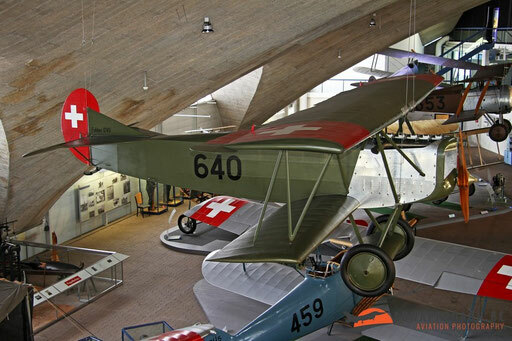 In the mean time the Swiss had developed some aircraft locally like the Häfeli DH-1 and the DH-5. 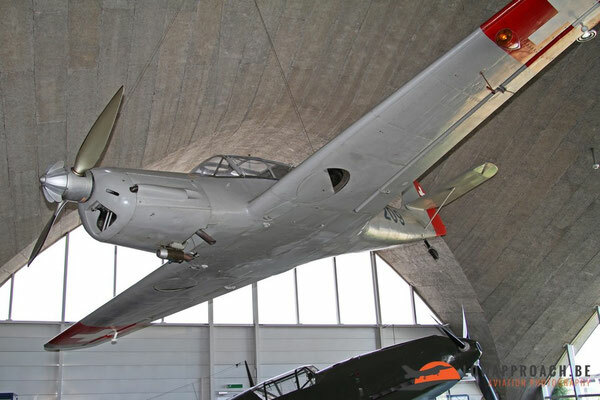 These were quickly replace by more modern aircraft, such as the Dewoitine D27 and Morane-Saulnier MS406C-1 from French origin. In the 1930s the restrictions imposed on the German aviation industry were slowly lifted, so also there aircraft production picked and Switzerland became a good customer for these products. 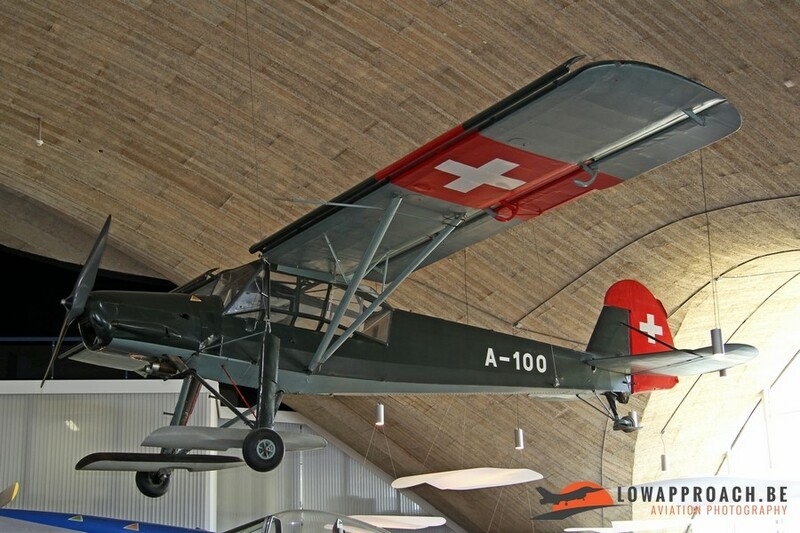 Bücker supplied training aircraft in the form of the Bü131B Jungmann and later the Bü181B-1 Bestmann. 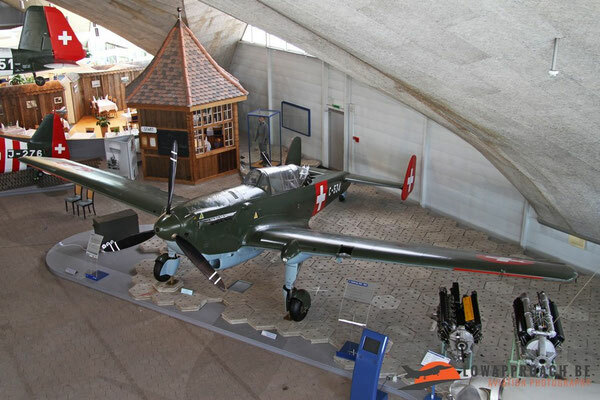 Additional training aircraft were acquired from Messerschmitt with the Bf108B-2 Taifun, quickly followed by a batch of Bf109E-3 fighters. Lastly Fieseler supplied a batch of their Fi156C-3 Storch Short Take-off and Landing aicraft for use as a liaison aircraft. 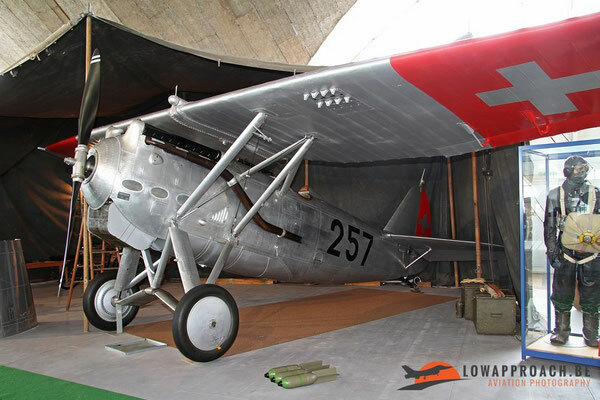 During the war years supply was difficult, as the Germans needed the aircraft themselves, so locally the EKW C-3601 fighter was developed, which was later modernized into the EKC C-3605 target towing aicraft. 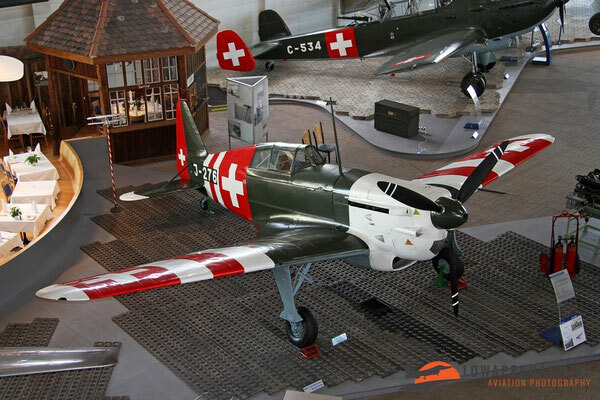 During the war years several aircraft from both Germany and the allied countries had found refuge in Switzerland after they had been hit by enemy fire, these aircraft were impounded by neutral Switzerland and carefully studied. After the war a batch of North American P51D Mustang were acquired from US surplus stocks, together with some North American Harvard training aircraft. 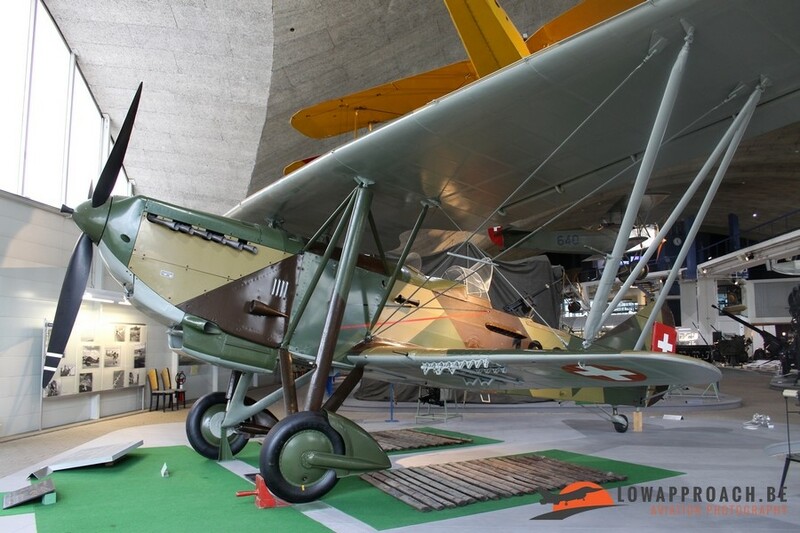 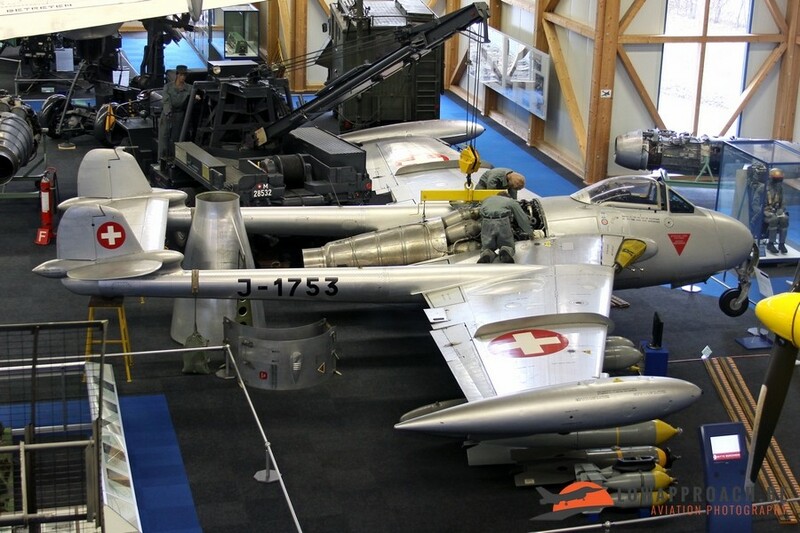 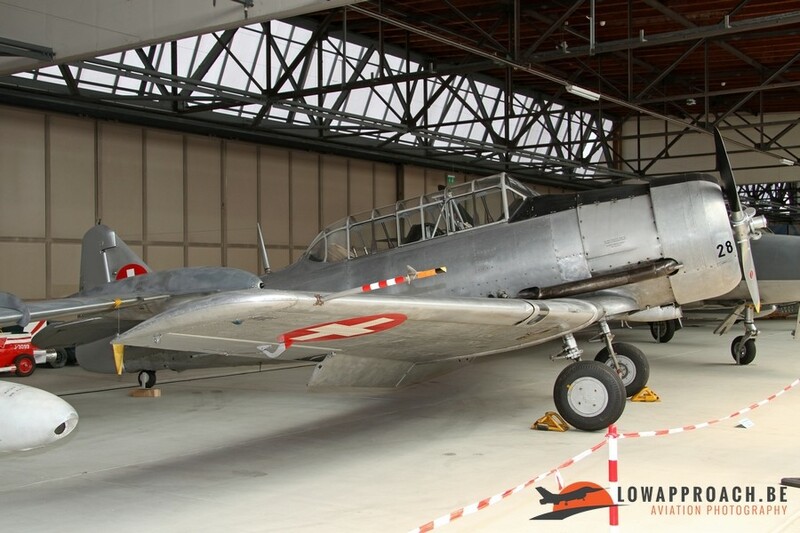 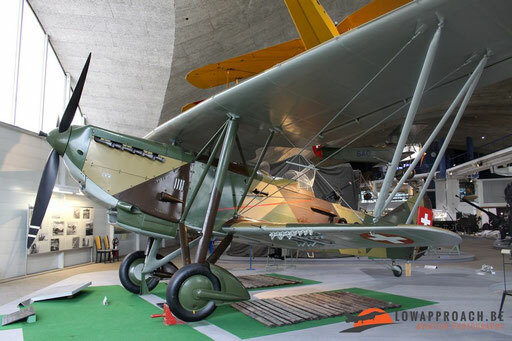 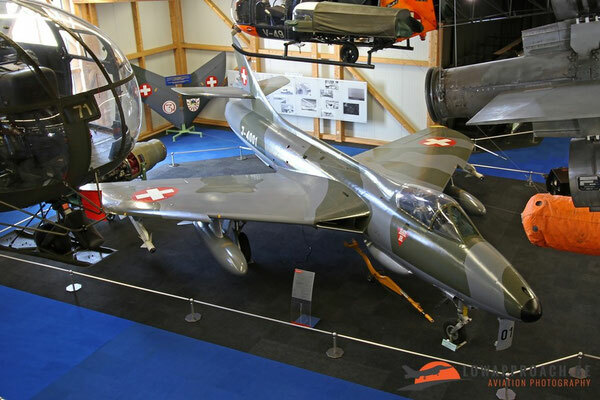 The days of the propeller driven fighter aircraft were numbered and to keep up with its neighbors, Switzerland had to modernize its fighter units with jet-powered aircraft. The first jets that entered service was the De Havilland Vampire FB.6, and its training version the Vampire T.55, part of this order was build under license in Switzerland. 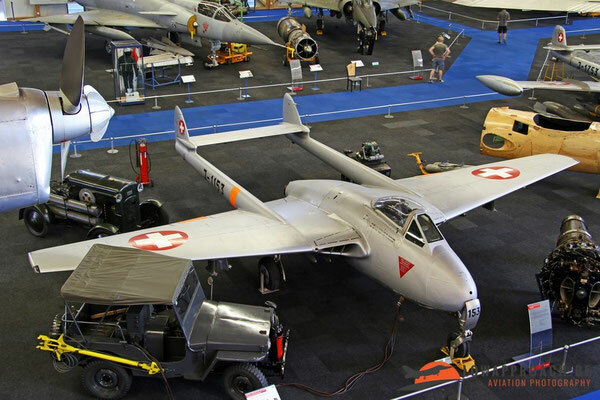 A few years later additional aircraft in the form of the De Havilland Venom FB.4 and Venom FB.50 were bought second-hand from the United Kingdom. 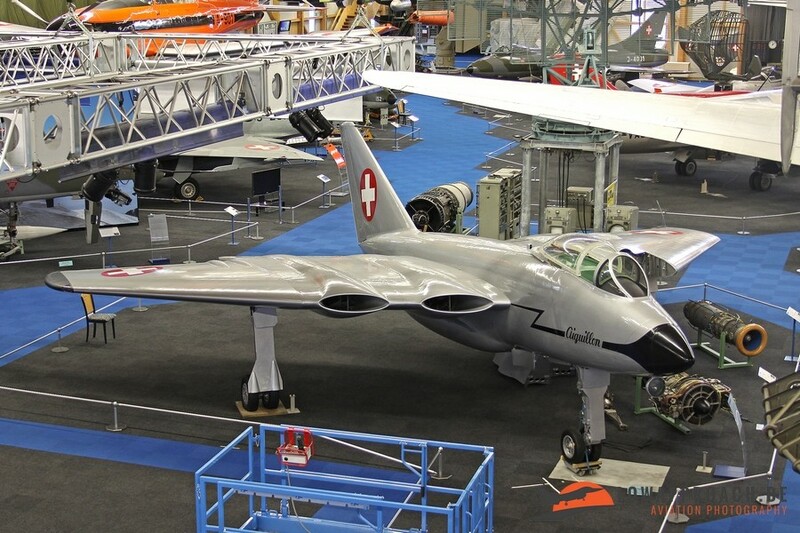 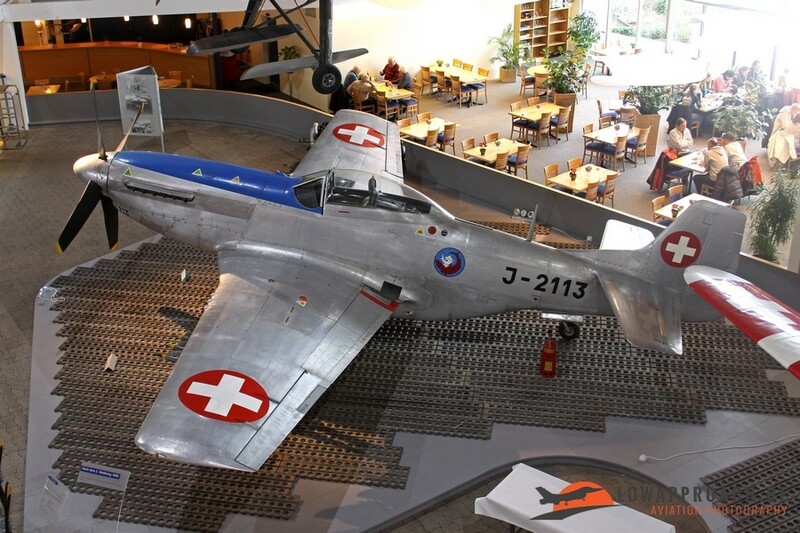 As in earlier years the Swiss started to develop their own jet fighters. The first project was the EKW N-20 Aiguillon, that first flew in 1952, but in 1953 this project terminated. 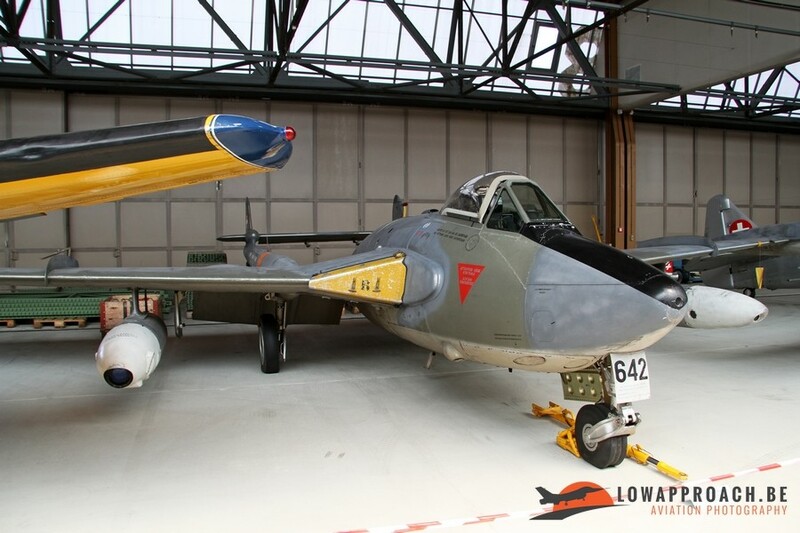 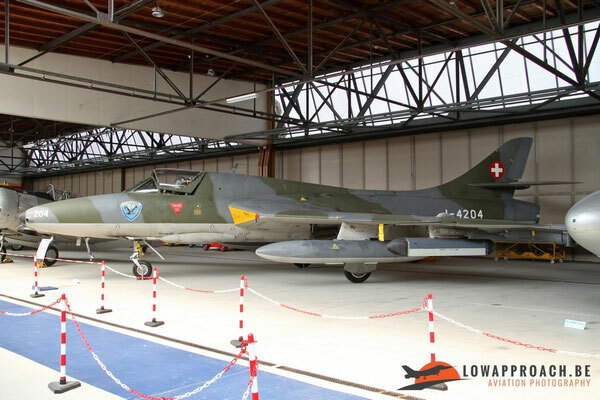 A second project was started in the form of the FFA P-16, which made its first flight in 1955, but it became clear that again this would become a very costly affair for the Swiss tax payer so the project was abandoned in 1958 in favor of another British design, the Hawker Hunter. 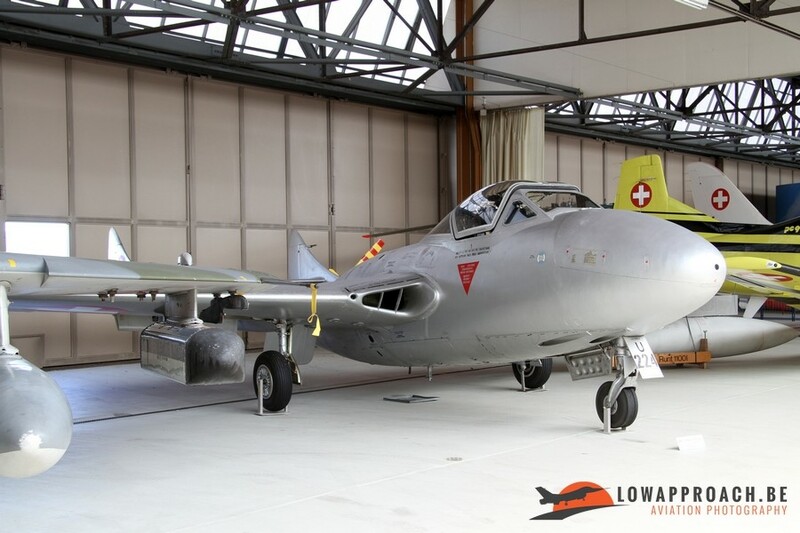 An initial batch consisted of 12 refurbished RAF aircraft and 88 new-build Hunters. The Swiss really like the aircraft and in 1974 a second batch of secondhand aircraft were bought from the Royal Air Force. 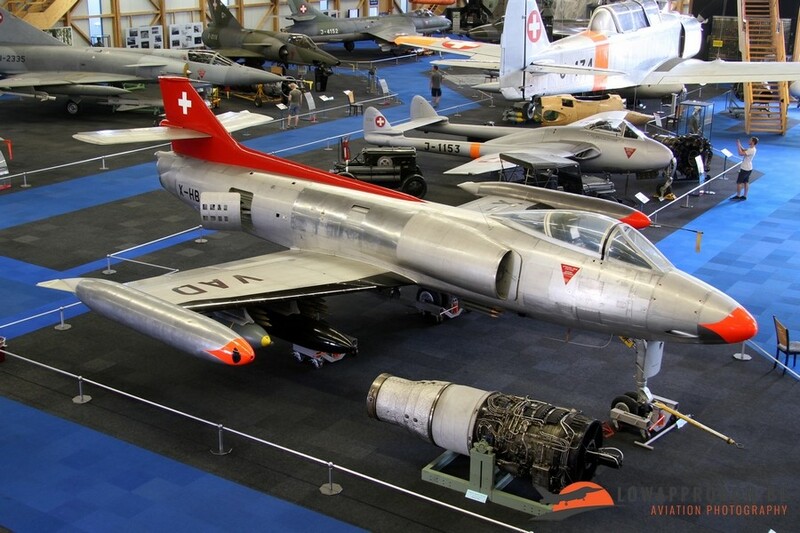 It was finally withdrawn from service in 1994. In 1961 Switzerland bought one Mirage IIIC from Dassault, that was used as a test aircraft. 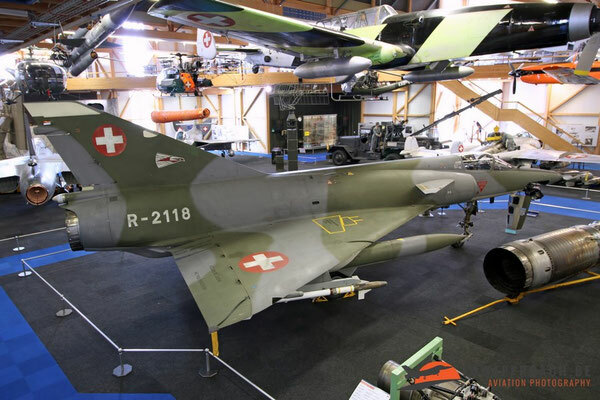 The test proved successful and a modified version of the IIIC, called the Mirage IIIS (S for Switzerland) entered license production at F+W Emmen. 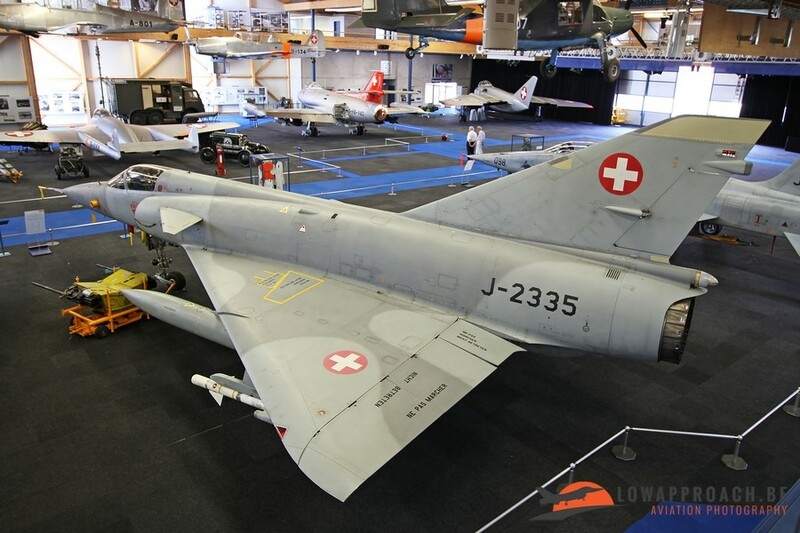 The IIIS was the fighter-variant, but also a Mirage IIIRS reconnaissance and Mirage IIIDS two-seater were acquired. In the early 70s it became clear that the ageing Vampires and Venoms started to become obsolete and their air-to-ground role was taken over by the Hunters. 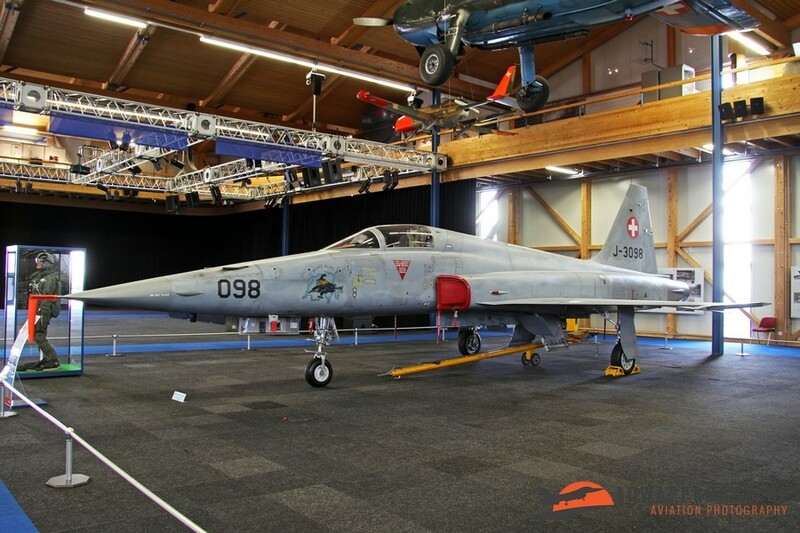 For the air-to-role a batch of 100 Northrop F5E Tiger IIs were bought in the United States. 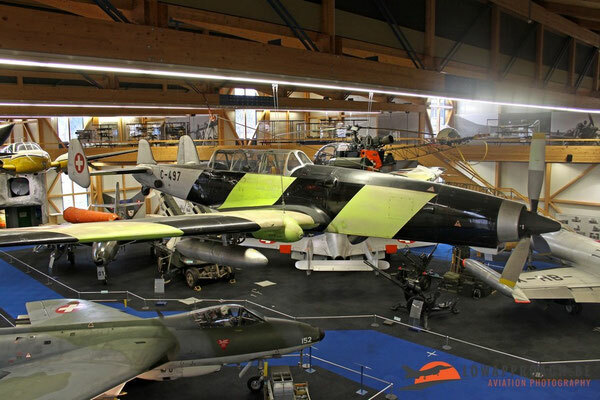 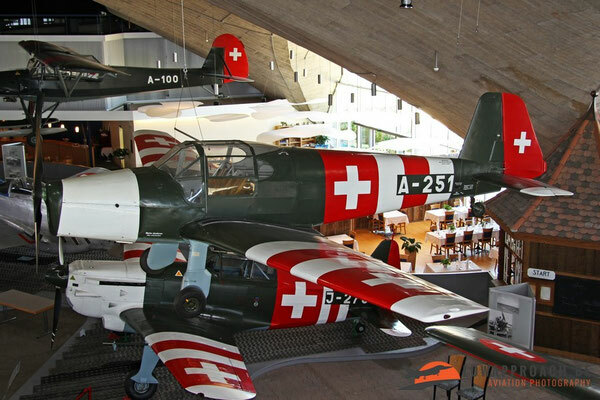 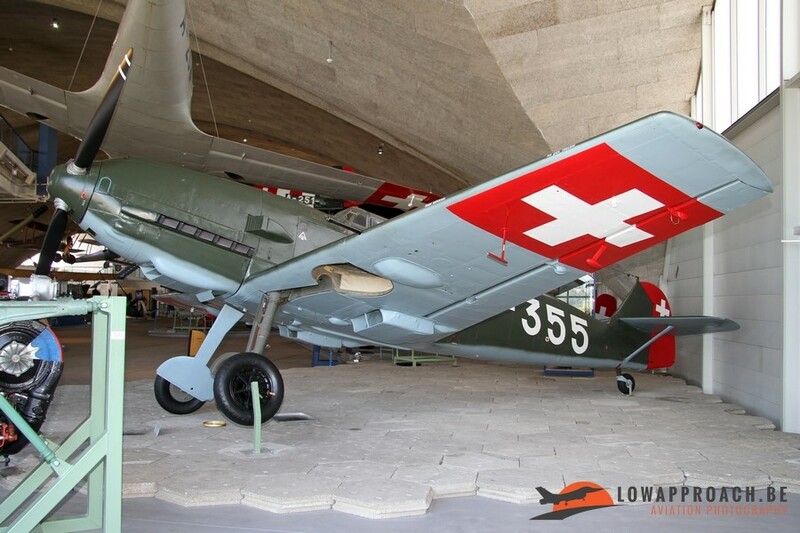 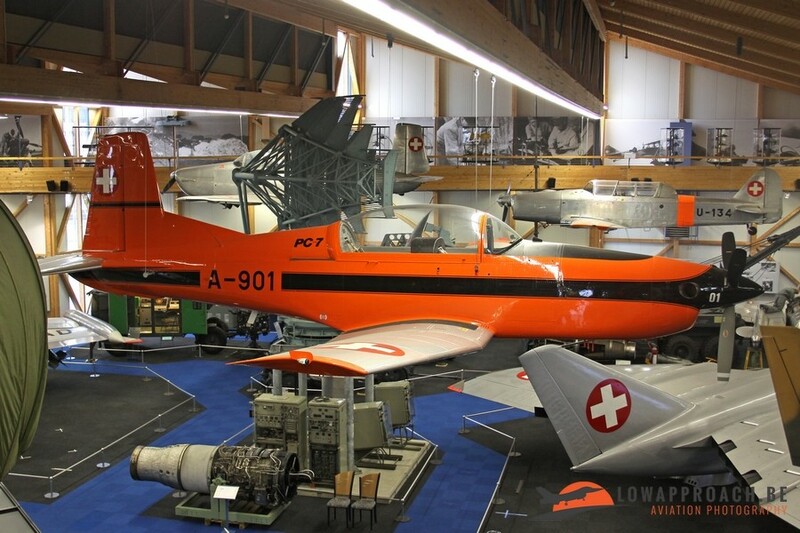 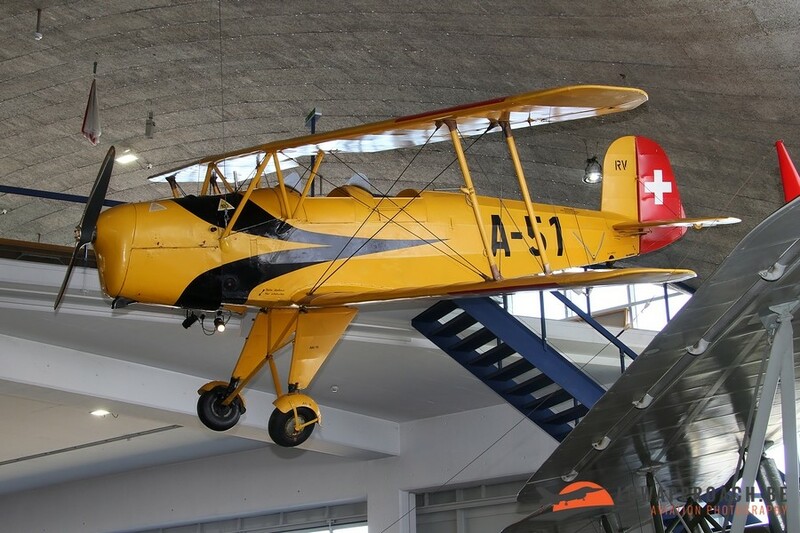 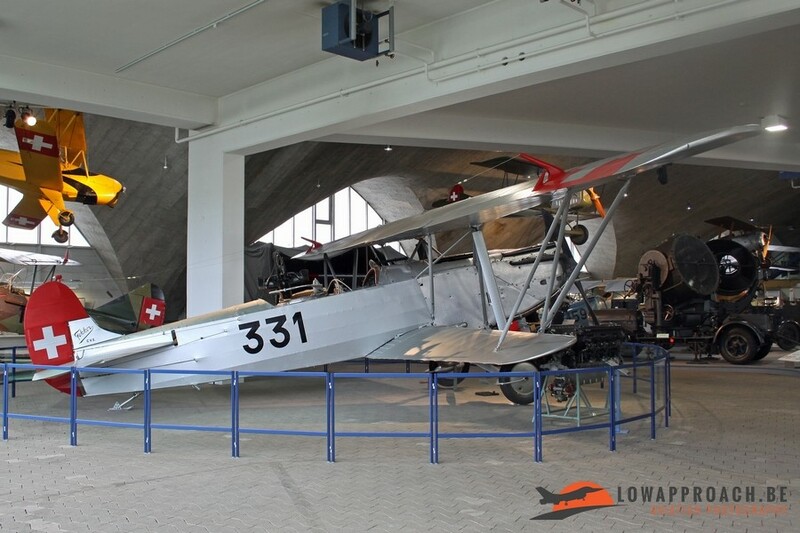 At this moment the Swiss aviation industry is best known for its training aircraft build by Pilatus at Stans-Buochs, so it is no surprise that many of the Pilatus products can be found the museum. Oldest aircraft on display is a Pilatus P2-06, this training aircraft made its first flight in 1945 and was in service until 1981. 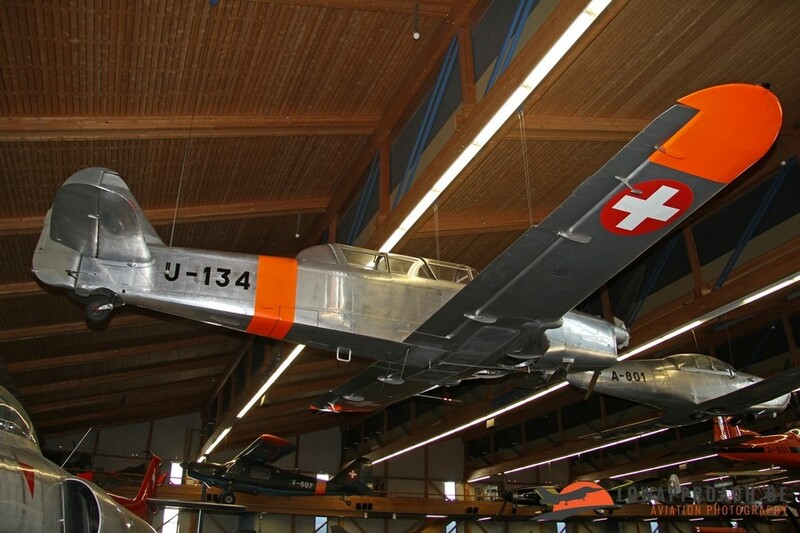 The P2 was the two-seat version of the un-build Pilatus P1. 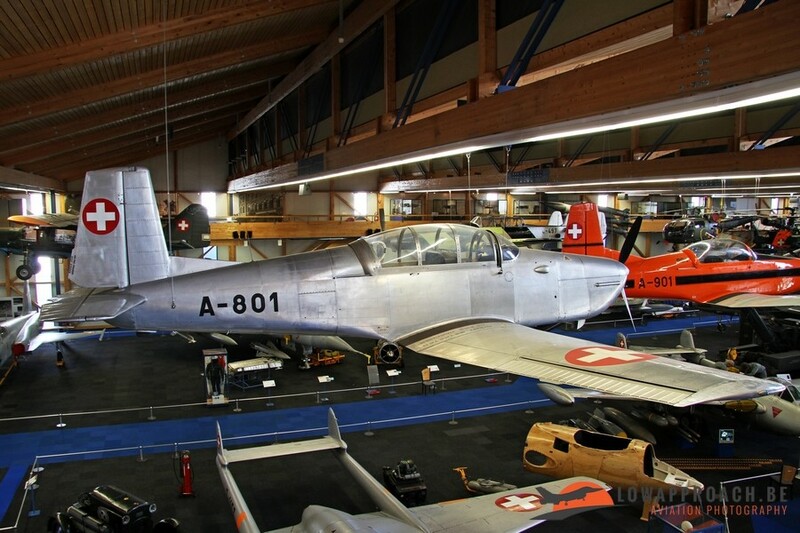 The second aircraft on display is the Pilatus P3, which was in service until 1983, after its had been taken over by the Pilatus PC7, which is still in service at this date. The newest Pilatus-aircraft on display is the Pilatus PC9. 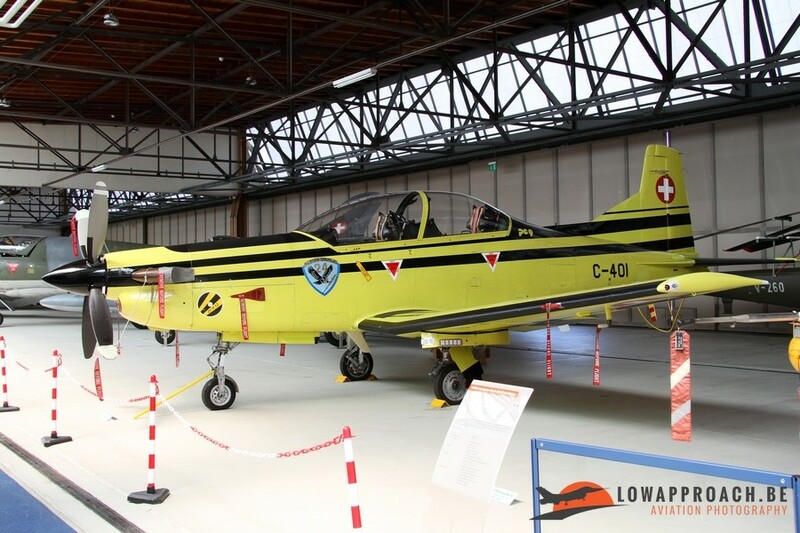 The PC9 is still in use as a target towing aircraft in the Swiss Air Force, so it was a bit of a surprise to see this example on display. When the Vampire T55 training aircraft was withdrawn from service a batch of 20 British Aerospace Hawk T66 were bought in 1989 for the conversion to jet aircraft. 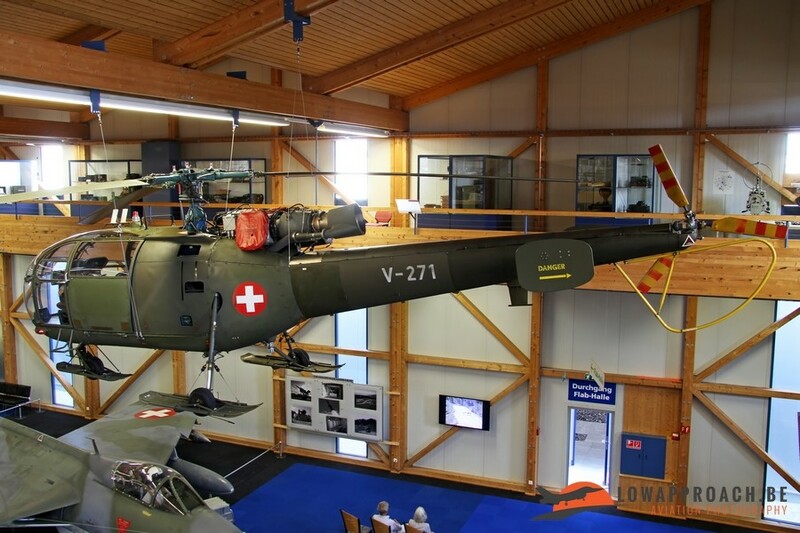 It's use was relatively short and in 2002 they were decommissioned. 18 of them were sold to Finland, one had been lost in an accident in 1990 and the remaining one is now preserved at Dübendorf. The Swiss Air Force always been a user of quite a substantial helicopter fleet, as it is an ideal means of transport in the mountainous terrain in Switzerland. 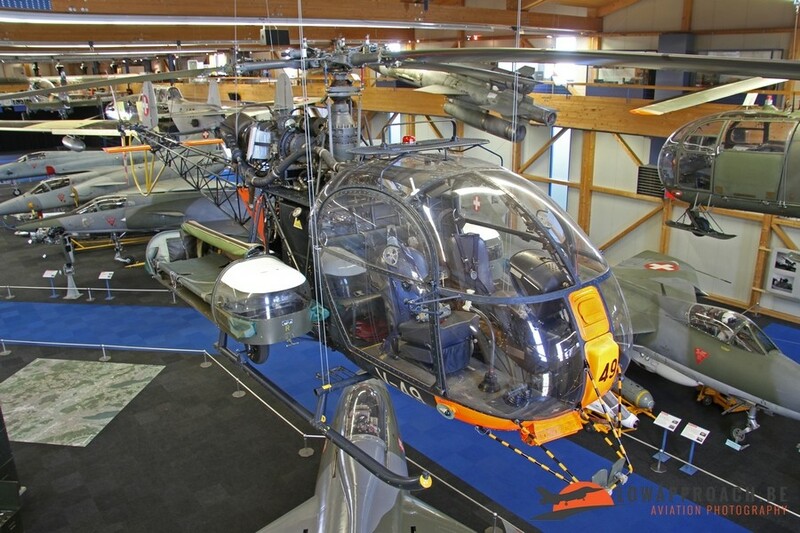 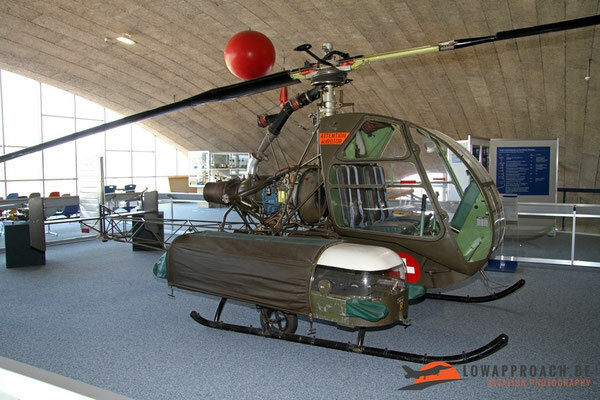 The oldest helicopters on display is a Sud-Ouest SO1221S Djinn, acquired from France, which has become the largest supplier of helicopters was also the Sud-Est Alouette II and Alouette III originate from this country. 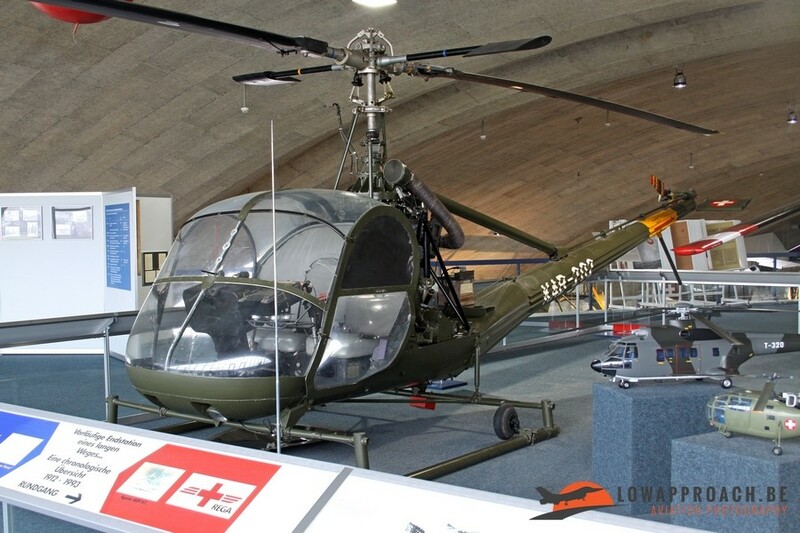 The sole non-French helicopter on display is a Hiller UH12B from US origin. 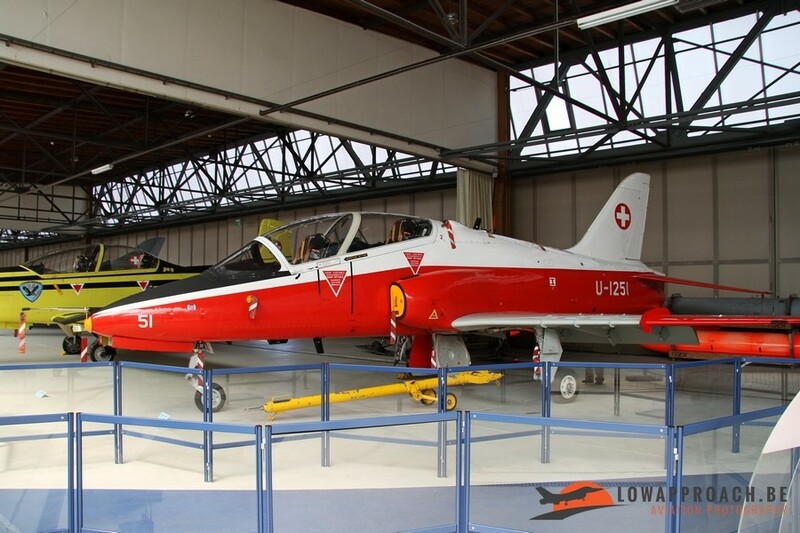 the third hangar is not always open for a visit, normally it's only open at certain hours during the day.